It’s always a fiesta at Cicada Cantina! 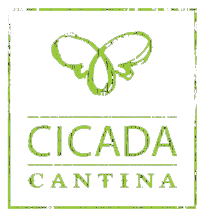 Whether you’re looking to celebrate an office lunch, birthday, or other special occasion, Cicada Cantina is the perfect location! Group dining is available inside and on the outdoor patio. We can cater to any size group for lunch or dinner, from intimate gatherings to a full blown fiesta, we will accommodate with fun, food and exceptional service. Dishing up remarkable food and drinks isn’t the only thing we focus on...every evening is a new fiesta at Cicada Cantina! Please contact the restaurant for additional details, availability, and pricing information.